If you’ve ever struggled with cash flow issues in your Amazon business, this is a must-listen episode. I recently met Will Moffet from Upfund in a conference and I shared how my fast business growth had turned into cash flow issues trying to ‘float’ all that inventory. Unfortunately at the time we met I hadn’t yet sold for a year on Amazon so I wasn’t able to raise cash from traditional lenders so I felt I was out of luck. Will told me how to raise cash fast through Upfund and I was hooked! I was able to raise $56,194.57 in two weeks. We’ve negotiated a great deal for the audience of the AM/PM Podcast and if you join Upfund through our affiliate link you will get a 10% discount off the origination fee on your first funded deal. How cool is that? Check out Upfund now and start your campaign. Can you get an loan for Amazon inventory without tax returns or without 1 year history? How long has Upfund been funding Amazon sellers? How many loans has the company processed so far? How much capital did Manny Coats raise? What is the typical loan amount? Can you get a loan before having sold one year on Amazon? What requirements are needed to get a loan from Upfund? Does upfund use Personal or company credit history? How do they determine whether you are qualified for a loan from them? Do Upfund investors know what I products I sell? Is a purchase order necessary to ensure funds are being spent on inventory? How many bank statements do you need to get funded with Upfund? How does Upfund verify seller’s earnings? How much does Upfund cost? When is your first Upfund payment due? Why you may want to offer a higher ROI on your Upfund campaign? What do investors look for on campaigns? 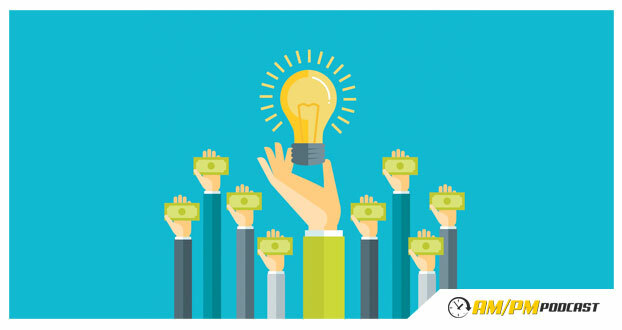 How to optimize your fund raising campaign? Are campaigns based off ASINs or entire accounts? Which ASIN should you use on your campaign? How can I become an Upfund investor? Don’t wait any longer, start your first Upfund campaign today!